Kleopatra should offer an option in the certificatedetails to "dump" all information, probably including a certificate export in a Window so that it can be copied and pasted somewhere. 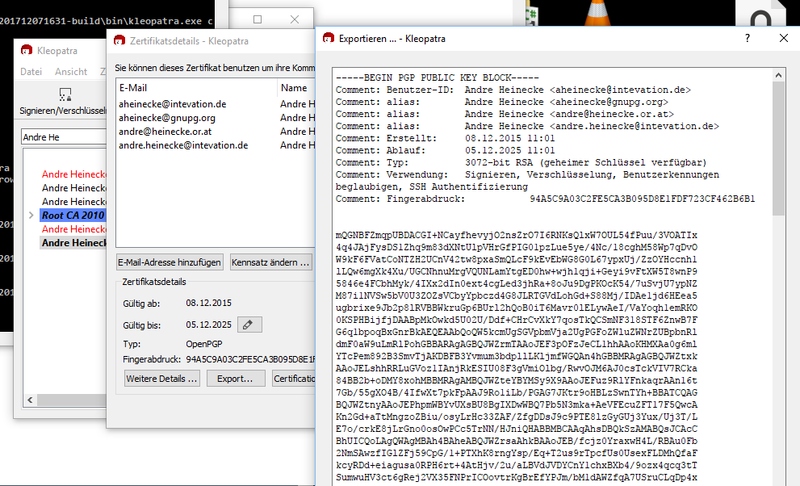 Kleoptra 2.3.0 had the "Overview" which contained some details but not the Export of the Certificate. I implemented a text export action that uses the details of a certificate as comments. This will bring back the old copy & paste able details and has the additional advantage of a nice and quick export.